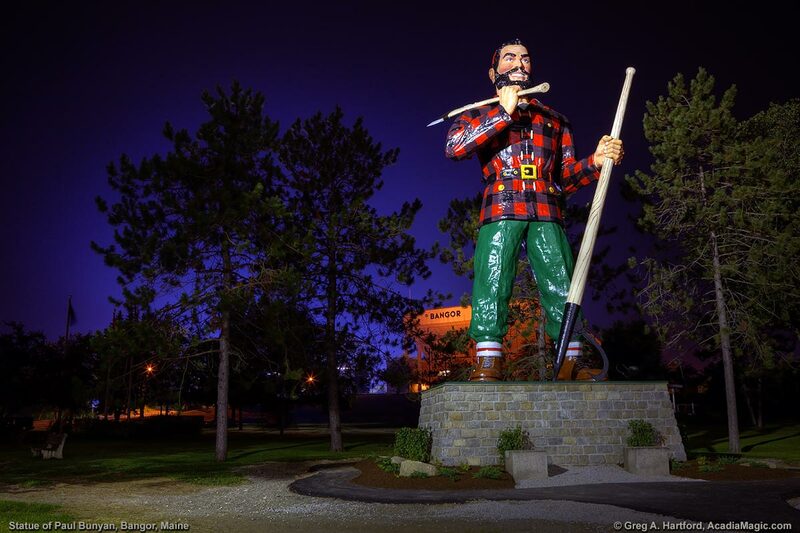 This statue of the lumberjack Paul Bunyan stands next to Main Street in Bangor, Maine. The old Bangor Civic Center can be seen behind the statue. A new civic enter, and a casino, have been built next to it since this time. Bangor, Maine, once the logging capital of the world, is a fitting place to honor this endearing folk hero. This statue is 31 feet tall, weighs approximately 3,700 pounds and was reputed to have been the largest Paul Bunyan statue in the world.